This years So-Gnar Shred Circuit Finals took place April 19-20th at Copper Mountain, CO. The weather was amazing, lots of good energy from the competitors & guests at the resort and we were teamed up with Woodward at Copper Terrain Park Crew to build a unique, exclusive set-up. Congratulations to Chris Eck for taking home first, Jason Blose in Second & Best Trick, and Sam Steinke coming in third place! Big ups to everyone who came out to enjoy the event and put a cap on the super amazing and successful season. Tour Sponsor Zumiez was in the house, printing up limited edition So-Gnar X Zumiez shirts in sponsor village. Along with the Red Bull Wings Team was in the house supplying samples and wings for every one. 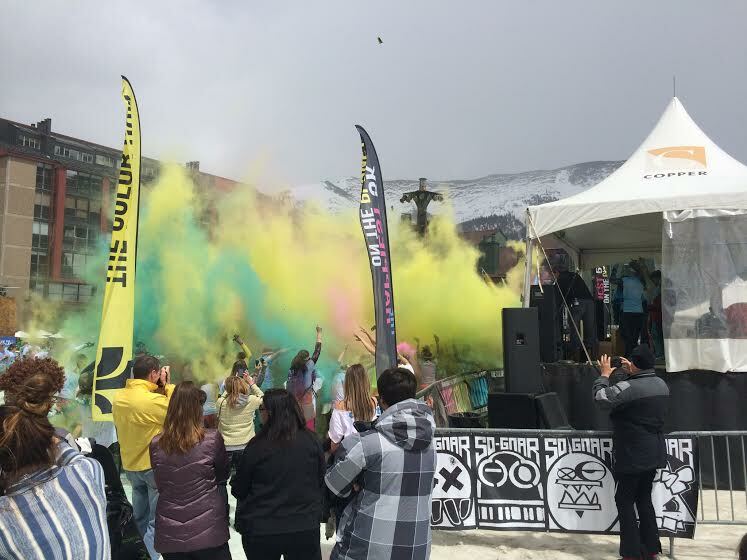 The 5k color run was also being hosted in conjunction with the Grande Finale as well, which provided for some crazy, colorful activities at the base village. The contest was full of hammers, creative riding and good times! 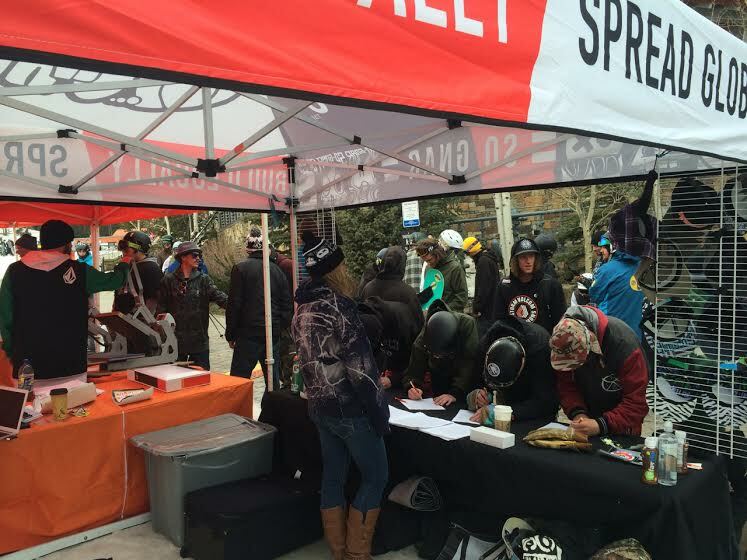 Big Thanks to our partners/sponsors Copper Mtn, Woodward at Copper, Zumiez, RedBull, Zeal Optics, Boa, Die Cut Stickers & Omni Promotional for supporting the So-Gnar 3rd Annual Shred Circuit Contest Series.